Metro and its partners have been working since the 1980s to complete the 40-Mile Loop – the greater Portland region's most iconic trail system. Several gaps in the trail still remain, the largest of which spans six miles between the Sandy River in downtown Troutdale and the Springwater Corridor Trail in Gresham. Metro, together with the cities of Gresham and Troutdale, is developing a master plan to close this gap in the trail system. 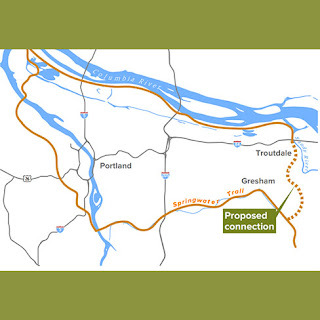 The Troutdale to Springwater Trail Master Plan will determine the best route for a new off-street biking and walking trail to connect neighborhoods, parks and schools, including Mt. Hood Community College.